Poor sanitation in the peri-urban areas of Maputo, Mozambique, has a disproportionate impact on the lives of women. But women are also playing a key role in tackling the challenge. 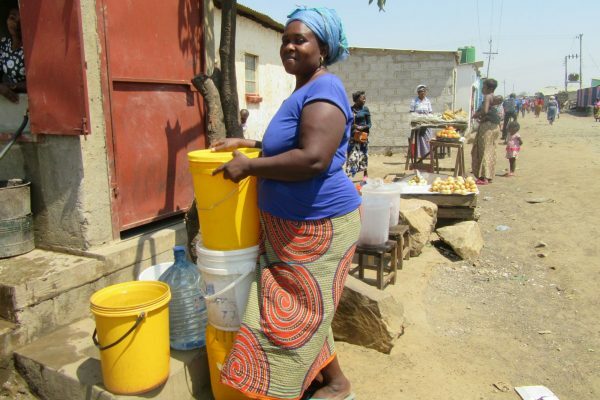 “We had a precarious latrine that over the course of time became damaged, and collapsed due to heavy rains,” recalls Rute Rodrigues (pictured above), a widow and mother of five children, who lives in the Chamanculo D community of Maputo. Floods are a frequent occurrence in Maputo and can devastate poorly built low-income communities. 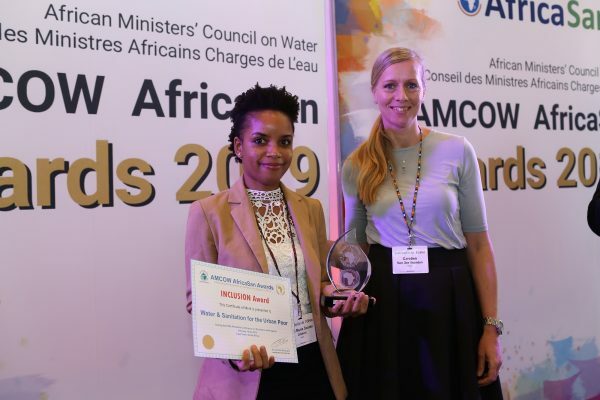 Only 9% of households in Maputo are connected to a sewerage system, with 40% of the city dependent on pit latrines. This poor sanitation results in frequent cholera outbreaks, widespread diarrhoeal disease and high child mortality. Poorly managed shared facilities offer little in the way of safety for women and girls, particularly late at night, and make it hard for women and girls to manage their menstrual hygiene needs. 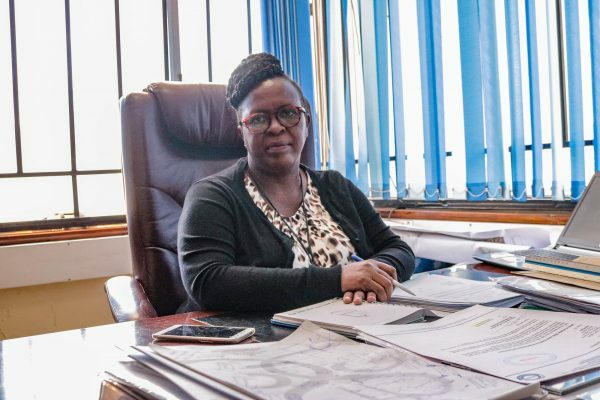 WSUP has been working to support the municipality to improve shared sanitation in the bairros of Maputo, addressing the needs of women and involving women in the design of the programme. 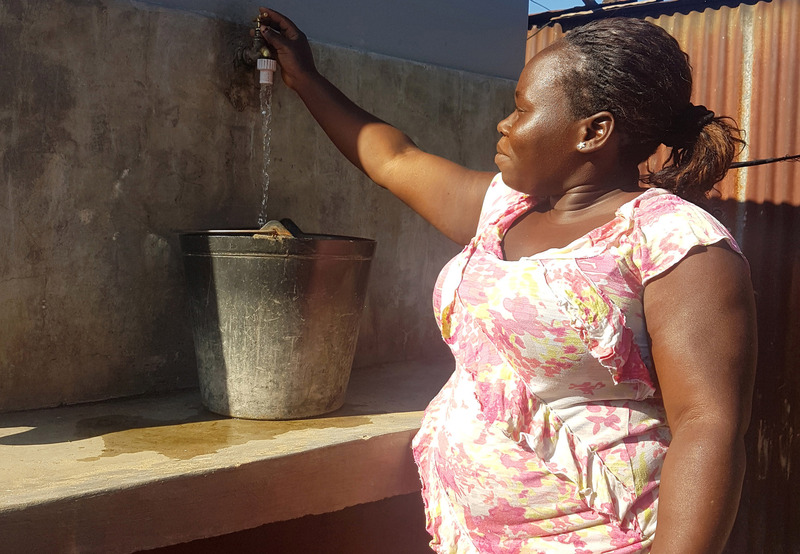 Well-designed shared facilities, along with clean water and good hygiene practices, can make a huge different to safety, health and dignity – particularly those with good lighting and lockable stalls. WSUP’s programme from 2013-2017 was partly funded by the World Bank-managed Japanese Social Development Fund (JSDF) and implemented by WSUP and the Water and Sanitation Program of the World Bank. We worked with city authorities – the Maputo Municipal Council – and local communities, to construct 450 sanitation facilities, benefitting 8,600 people. In a wide-scale sanitation programme such as this, strong community leadership is essential. Women such as 33-year-old Amélia Ismael (pictured, below) have played an invaluable role in driving the programme forward. Melita, as she is known by her neighbours, has lived in the Chamanculo C community since birth and has faced many problems due to poor sanitation. “The neighbors were constantly complaining because our toilet was a focal point for disease in the neighborhood and it caused a bad smell that bothered anyone who was nearby,” she says. 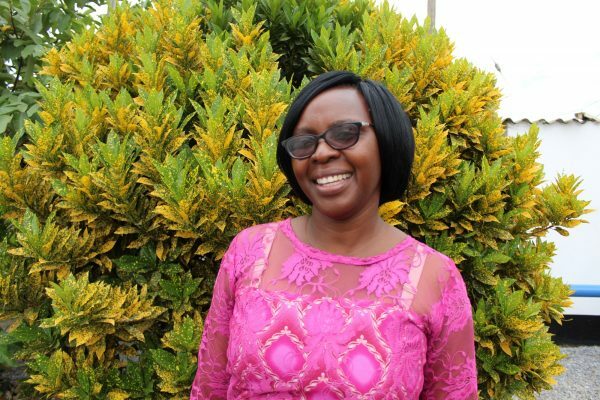 When Melita and her neighbours applied to WSUP for a new sanitation block, Melita decided to become a Vice-President for the Management Committee. This role involves ensuring that residents practice good hygiene practices, promote good facility usage, and support with maintaining the block in good order. It’s a vital role for ensuring that the facilities are long-lasting and achieve the benefits that they are designed to achieve. Luisa Ernesto Macamo (pictured, below) was one of the women who decided to support the drive for improved sanitation with her own money. Households are required to co-fund the construction costs, as this is a vital part of promoting financial viability and ownership of the facilities. 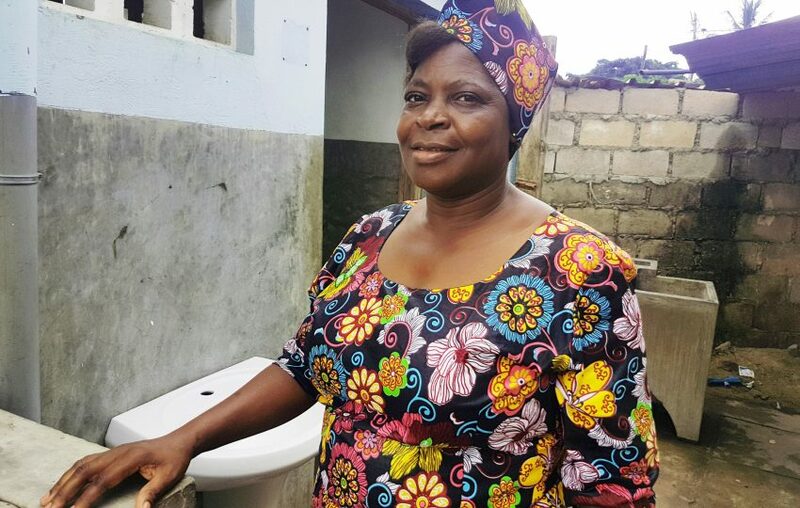 “When WSUP came to talk about the toilets they were building here in the neighbourhood, and that it would improve sanitation conditions, people did not believe and especially when talking about payments, many were suspicious and thought that it was people who wanted to steal money, and so didn’t want to contribute,” Luisa says. 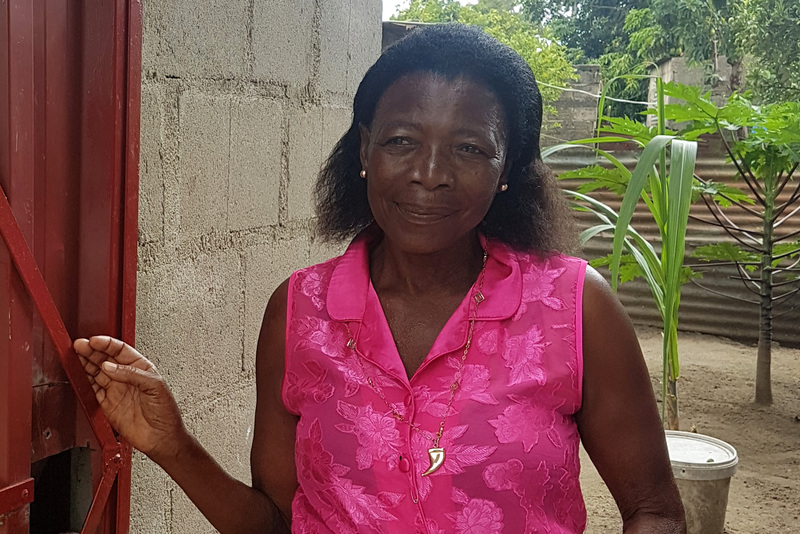 But Luisa recognised that sanitation was a severe problem in her community: her old latrine was always getting full, despite paying regularly to have sludge emptied by an informal emptier. Once the works began, interest started to grow. “My neighbours realized that it was a reality, our dreams were beginning to happen.” This encouraged others to invest in new shared facilities. How did the JSDF programme address women’s needs? The toilets were found to have a pronounced positive impact for women living in the target areas. 100% of participants in female focus group discussions thought that the facilities provided enough privacy to meet their menstrual hygiene needs. The new facilities have been found to be safer for women to use at night, as women no longer had to worry about slipping on muddy ground on the way to the toilet and had the ability to lock the door. In addition, the facilities mean that other household chores, such as cooking become easier and safer due to the cleanliness and sanitation of the new facilities. 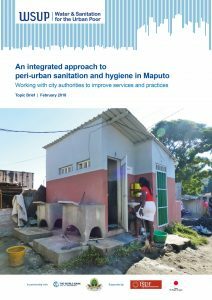 Read more about our sanitation and hygiene work in Maputo in a new report: An integrated approach to peri-urban sanitation and hygiene in Maputo: working with city authorities to improve services and practices. AusAid, the Department of Foreign Affairs and Trade of the Australian Government, Bill & Melinda Gates Foundation, UK Department for International Development, USAID, Vitol Foundation and The Waterloo Foundation.